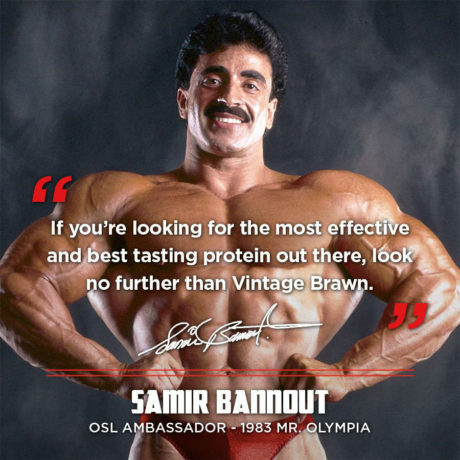 Vintage Brawn contains a potent dose of the Big Three proteins: eggs, milk and beef – which together work to build muscle more effectively than whey or any single source of protein. They also guard against muscle breakdown longer to support increased levels of recovery and hypertrophy, whatever time of day you take Vintage Brawn. Vintage Brawn doesn’t add cheap aminos to its formula to spike protein content per serving at the expense of your health, which is all too common these days. 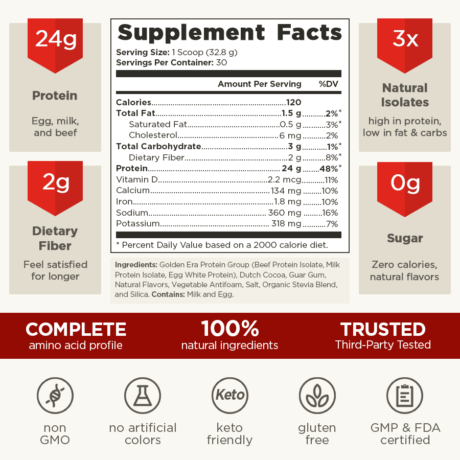 With Vintage Brawn™, you know that every gram is sourced exclusively and responsibly from the best isolates – eggs and beef from the USA, and milk from hormone-free New Zealand cows. 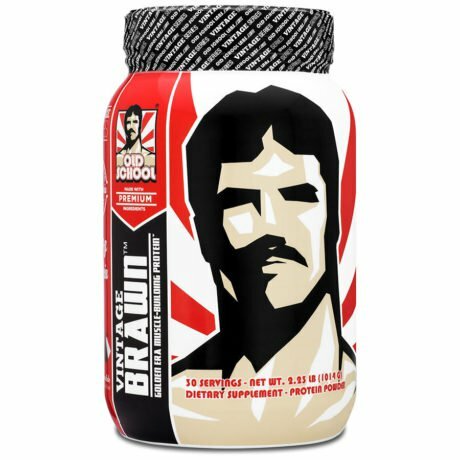 Vintage Brawn may be the best-tasting naturally flavored and naturally sweetened protein powder on the market today. Try one serving, and you might mistake it for a delicious dessert, but without the extra fat, sugar (lactose in milk), and cholesterol usually found in that kind of indulgence. Vintage Brawn is part of our Muscle & Strength supplements range. We created it to be the benchmark for muscle-building protein. These days, chances are if you’re using a protein powder, it’s whey protein. Whey has become the protein choice for everyone, from kids to grandparents. A byproduct of cheese production, whey is particularly prized for its absorption speed. It’s a good protein, but it’s not the most effective way to build muscle, nor to reduce muscle loss. Yet, we’ve been told over and over again that whey is the only protein we need to achieve our goals. 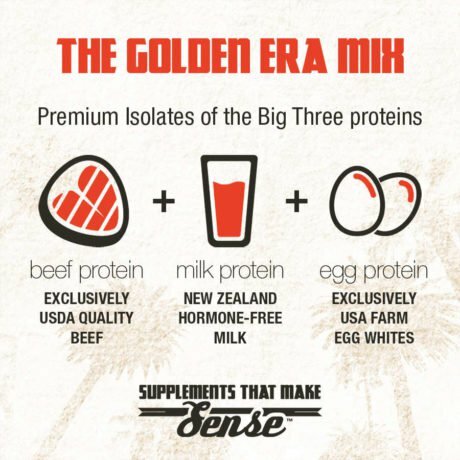 Golden Era athletes relied on eggs, milk, and beef – the Big Three – to build high quality muscle. Today, science is catching up with what these athletes knew all along: that the combined proteins of the Big Three surpass the muscle-building and muscle-preserving properties of whey, or any single source. Why? Because together they deliver a synergistic muscle-building effect that’s more powerful – it kicks in fast and lasts for hours. Vintage Brawn is the first supplement to successfully combine the highest quality isolates of these three prized proteins. Which means you get all the muscle-building power without the extra fat, sugar, or cholesterol – in an incredibly tasty protein powder. At Old School Labs™, we set out from the start to be a premium and uncompromising brand, delivering exclusively premium products. We only sell our products directly to you and are therefore able to afford including only the best quality ingredients in all our products. Vintage Brawn is so clean, it can fit into virtually any kind of diet, no matter what your “macros”. You get the proven muscle-building benefits of milk, egg, and beef protein, unburdened by the extra fat, sugar (lactose from milk), cholesterol, and calories that you’d find in their whole-food sources. Eggs have long been considered a perfect source of bodybuilding protein. They have a full complement of essential amino acids and they are easy to digest. However, they also contain fat and cholesterol, which is why we use only egg white protein in Vintage Brawn – sourced from eggs produced in the USA. Milk protein isolate (MPI) may be one of the most overlooked protein sources in sports nutrition. The two major proteins in milk are casein and whey. While whey tends to be absorbed quickly, casein has a “sustained-release” profile. MPI extracts these two complementary proteins from milk, leaving behind virtually all of the fat, sugar (lactose), and other nutritional “baggage". Importantly for bodybuilders and athletes, the MPI in Vintage Brawn, which is sourced from hormone-free New Zealand cows, contains the same 80:20 ratio of native casein and whey protein found in fresh milk. This ratio helps maximize muscle anabolism (building, or hypertrophy) and reduce muscle catabolism (atrophy) – just what you need to gain muscle quickly. Beef has been prized as a muscle-building protein for centuries. In Vintage Brawn, we use a beef protein isolate made from fresh beef using a USDA-approved process. It contains high levels of conditionally essential amino acids and is easy to digest. In clinical research, the beef protein isolate in Vintage Brawn was found to keep plasma amino acid levels elevated for three hours. This is considered ideal for building muscle as quickly as possible. The “other ingredients” section on supplement labels has unfortunately become a convenient place for some companies to hide their sub-par ingredients, fillers and additives in plain sight. This is where you will commonly find the usual cost-cutting and unnatural ingredients that do nothing to help your health - ingredients such as sucralose, aspartame, gelatin, artificial flavors and colors, and a plethora of cryptic chemical substances that really don’t belong in your body if you want what is best for it. Gives Vintage Brawn its signature rich and deep chocolate flavor. It has a more intense and smoother taste than regular cocoa. Countless iterations of taste-testing allowed us to arrive at a flavor that is not only natural, but tastes great and mixes easily. A natural food thickener made from guar beans. It helps give Vintage Brawn its rich texture when mixed with water or other drinks. Helps reduce the formation of foam. It is made of Silica, Propylene Glycol, Mono and Diglycerides. Also known as Sodium Chloride, helps bring out the chocolatey taste. Stevia is a natural sweetener which is extracted from the Stevia rebaudiana plant. It has no calories. Our blend is made from Rebaudioside A and Glucosylated Steviol Glycosides. This vegetarian-friendly compound, naturally found in many foods, is used as a flow agent to aid the manufacturing process and ensure that each bottle of Vintage Brawn is made to the most exacting specifications. 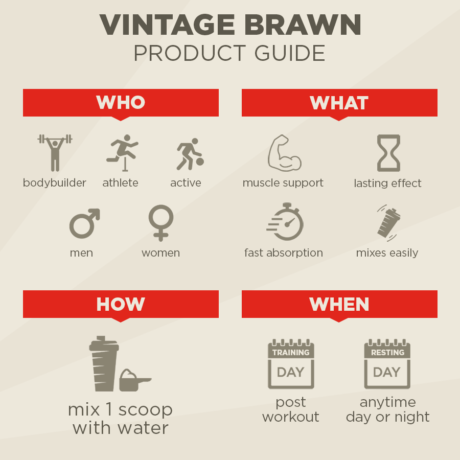 Add 1 scoop of Vintage Brawn™ to 6-8 fl oz of cold water, milk, or your favorite beverage. Shake or blend for 20-30 seconds and enjoy. For convenience and great mixing results, try our OSL BlenderBottle™ shaker. Vintage Brawn™ can be used effectively throughout the day. 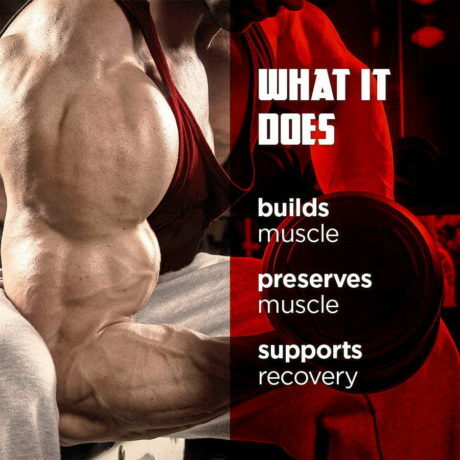 It’s fast-acting, yet supplies muscle-building and recovery support for hours. Take one serving during the day: post workout on training days, and anytime on rest days. You can also take a second serving before bed to help muscle repair and recovery while you sleep. Combine 1 scoop Vintage Brawn™, 1 tablespoon peanut butter, 1 cup milk, and some ice cubes. Blend for 30-45 seconds and enjoy! For a thicker shake, add oatmeal or your favorite multigrain cereal. This product was produced in a cGMP facility that also processes ingredients containing milk, egg, soybeans, shellfish, fish, and tree nuts. Can I use Vintage Brawn in recipes? Yes. There are all kinds of protein powder recipes online. Protein puddings, cupcakes, pancakes, and so forth. Vintage Brawn can be used in many different recipes besides shakes and smoothies. Does it have any beef or egg aftertaste? Is Vintage Brawn lactose free? Vintage Brawn shouldn’t cause any negative side-effects for individuals who are lactose-intolerant, as their sensitivity stems from the inability to properly breakdown the SUGARS (lactose) in milk. Vintage Brawn contains milk protein isolate (MPI) – meaning the lactose and fat have been extracted and removed – to leave behind ONLY the two milk proteins casein and whey.